Olivia Douglass is a seasoned writer, curator and producer from South-East London. Her work aims to create innovative new terrain for writing, with a focus on re-molding traditional and colonial images focusing on the Black queer experience. Olivia is currently an assistant producer for Hip-Hop theatre company Boy Blue and a resident poet and curator at Earwax Collective, a space for women in sound art and performance-based practices. Creating experimental writing and film that observes the world around her through a deeply mythical and abstract lense, while presenting and celebrating the parts of her identity that are disenfranchised within western society is her speciality. Olivia recently launched her highly anticipated debut collection of writing and poetry titled ‘Slow Tongue’ and travelled to Lisbon to discover its hidden beauties. 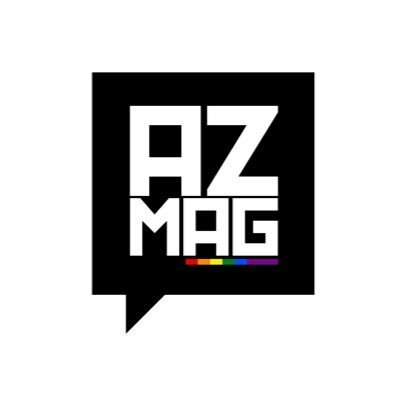 AZ mag managed to catch up with the Olivia to talk all things queer, self-discovery, love and black girl magic. Olivia began writing when she was younger and started to, ‘ become more self aware and realised the impact societal norms had on her own life’. She acknowledged, ‘it wasn’t a choice to write about these things. I’m most honest with myself when writing and it’s a place to speak about things society doesn’t’. Although Olivia is rising up in the world of poetry, ‘ I don’t consider myself as a poet but a writer who does poetry. Self discovery has moulded and remoulded me as a person and has shaped my writing. Olivia describes writing as, ‘a motif’. ‘Through writing I am able to create a space to be a whole being. A lot of my work is visual, I like to create different worlds. Leaving unanswered questions and mistakes within my work invites others to become self-reflective and question the idea of perfection, beauty, the art of communication and the world itself’. Her new piece, ‘Slow Tongue’ is a verse-essay/lyric essay hybrid analysing race, sexuality and the relationship between Black women artists. A response to the writings of M. Nourbese Phillip, ‘Slow Tongue’ aims to continue the decolonisation of language and imagery. The main message of this provocative, thought provoking work has personally allowed me to question my stance as a young black woman but also acknowledge the love or lack of understanding in love some of us have. ‘The main message to me, changes every time I think about it. It has its own energy. I had to realise, I am deserving of intimacy. I am deserving of a language that isn’t sexualising my body. Black woman are hyper-sexualised or desexualise. Our relationships with intimacy aren’t shown. My intimacy moves differently and it is equally valid to other cultural depictions of intimacy’. Olivia went on to say, intimacy is soft’. ‘It was hard for me growing up in white areas. I had a hard exterior and I was struggling to be tough. And then someone said, ‘you’re quite soft’ and that was somewhat of a wake up call. Finding my identity In a rural area was tough. I’ve finally come to realise black women are strong but also soft. Black women need to be nurtured and we deserve to be vulnerable’. Olivia allowed me to think about the concept of expression through the perspective of being a woman and the way words mirror and shape our realities. Olivia is currently learning the sound of her own voice which is not infiltrated by things around us. She is currently working on a queer film and constructing poetry which is revolutionary in the realm of self-celebration.